Medical technology is an extremely sensitive industry, in more ways than one. People are in difficult and exceptional circumstances, since their health—one of the most precious goods humans have—is under attack. Fears for one’s physical and financial well-being compete with the hope for healing and recuperation. In this situation patients are directly confronted with diagnostic and therapeutic high-tech equipment that exactly mirrors this inner conflict. They cannot understand this technology, and in some cases they even fear it. At the same time, all their hopes depend on the capabilities of these devices and machines. Naturally this also applies to the laboratories, even if the patients are only indirectly aware of these high-tech facilities. Devices and machines for medical technology must become accepted in this sensitive environment. One way of doing so is by ensuring maximum comfort for the patients. This includes, for example, as smooth as possible a movement of the patient table or dental chair. Another, and very effective, method is through reliable diagnoses and effective therapies, which instill trust in the patient. 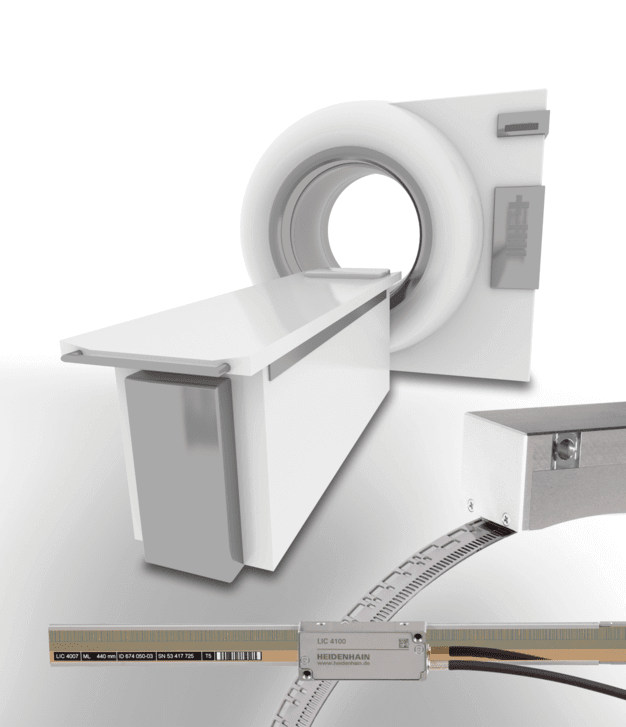 Highly precise controls are necessary, for example, to exactly position the X-ray system of a CT scanner in very small steps for as many slices as possible at high resolutions, or the linear accelerators of radiation therapy units. Along with physical examinations and diagnostics based on laboratory values gleaned from blood and tissue samples, imaging procedures in particular have established themselves for diagnostic procedures. These include X-rays, computer tomography (CT) and magnetic resonance imagining (MRI). They give the doctor an insight into the patient’s body without any invasive procedure. However, in these radiological diagnostic procedures the patient is subjected to doses of radiation. 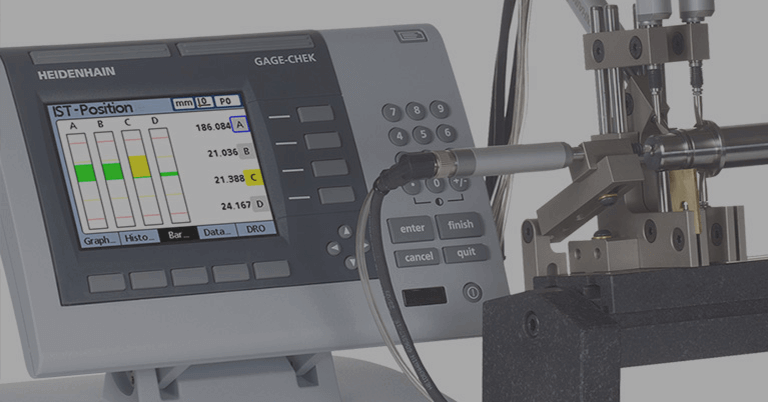 The more precisely the patient, the source of radiation (X-ray tube), and the detector can be positioned relative to each other, the slighter the dose is. As a rule, linear motions must be measured and controlled when moving the patient table. The patient’s comfort is, naturally, a primary concern. The height of the table can be adjusted so that the patient may easily move into place. 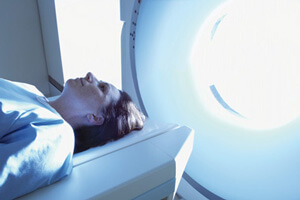 In modern CT and MRI scanners, the patient is brought into the scanning area while lying on the table. Both the vertical and horizontal motions must be smooth and without jerk, so that the patient feels a sense of safety and security, and, of course, does not come to harm. In the scanning area of the diagnostic equipment, the patient or the body part to be examined must be positioned exactly before examination can begin. Then, depending on the diagnostic procedure, the patient must be moved through the scanning area in a highly precise and defined manner, so that images with the desired slice thickness and necessary resolution can be generated. 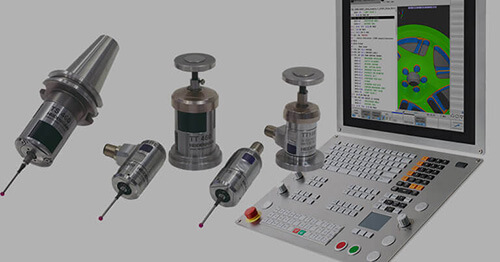 Absolute linear encoders from HEIDENHAIN fulfill all requirements for use in modern diagnostic equipment. Their fine graduations and photoelectric scanning principle transmit absolute, high-resolution position values in short cycle times. 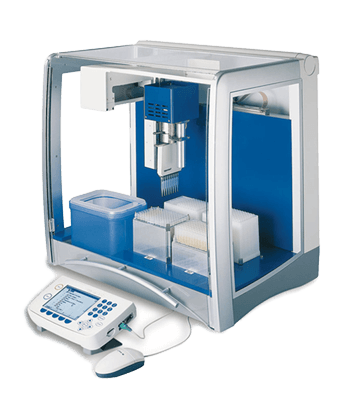 This enables highly dynamic closed-loop control of the drive for the patient table, with very steady motions and barely perceptible acceleration and deceleration. Also, thanks to the absolute measurement, the position values are always available immediately. 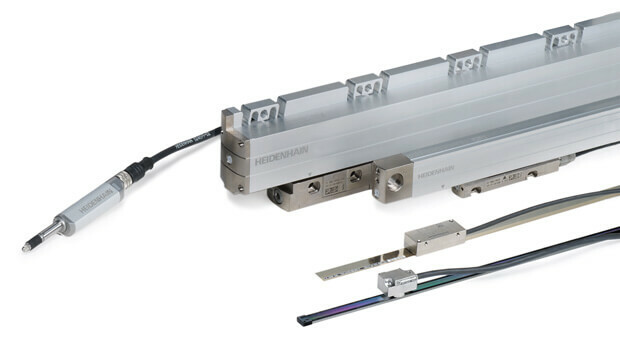 A high degree of self-monitoring and self-diagnosis guarantee the functional safety of linear encoders from HEIDENHAIN and provide data for preventive service and maintenance scheduling. Electronic and mechanical connections to the respective systems are possible without problems. Depending on the diagnostic device and technology, the sender (source) and/or receiver (detector) move in a circle around the patient. 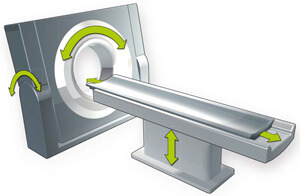 In order to achieve a high resolution and excellent image quality, a defined rotational movement at constant angular speed is necessary, and it’s often exactly coordinated with the linear motion of the patient table. 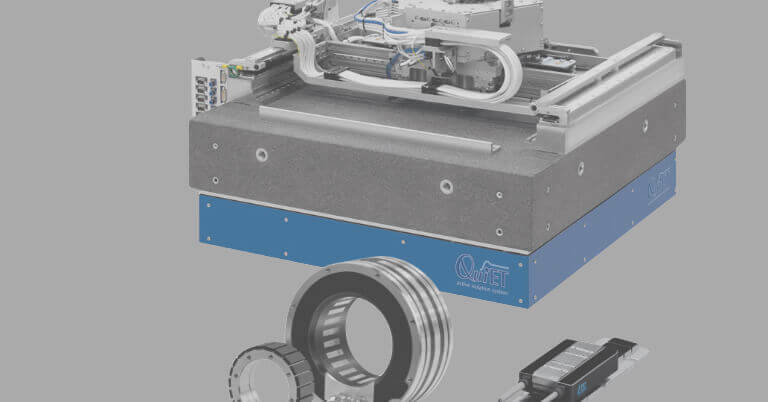 Absolute rotary encoders and angle encoders provide the necessary position data for controlling the rotational motion with a high resolution and in short cycle times. Absolute position measurement always provides measured values immediately. A reference run of the diagnostic mechanisms to determine a reference position, i. e. a reset to the home position, is not required. 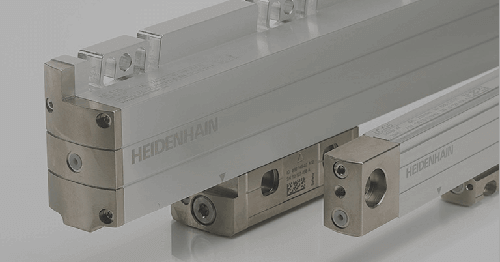 HEIDENHAIN angle encoders are characterized by high accuracy values in the arc second range and better, down to ± 0.4″. 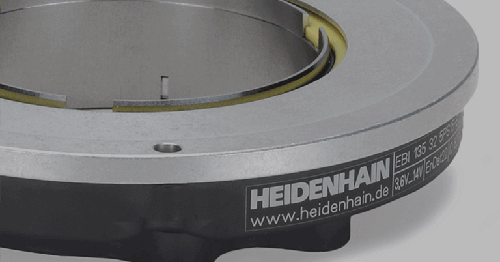 Rotary encoders from HEIDENHAIN achieve accuracy grades as good as ± 12″. Various design options, such as with mounted stator coupling or separate shaft coupling, ensure that there are no problems in the mechanical mounting. Common interfaces are used for the electronic connection. 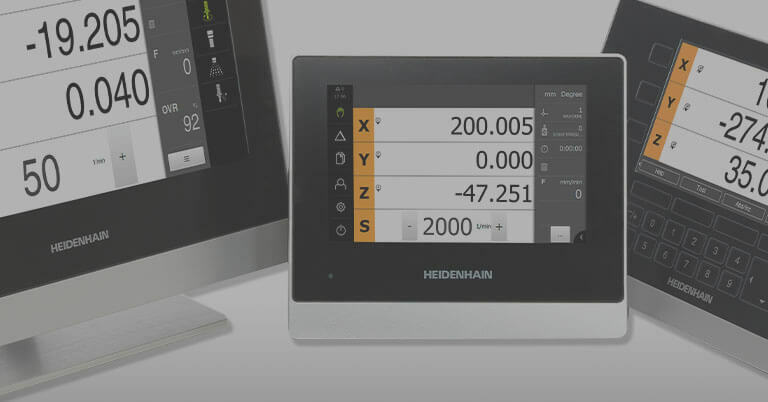 HEIDENHAIN offers reliable, highly-accurate solutions for medical technology, such as patient positioning or position measurement in automated laboratories. From unprecedented DNA sequencing capabilities to flawless robotic surgeries and other automated treatments, doctors and medical laboratories have more life-saving innovations at their disposal than ever before.